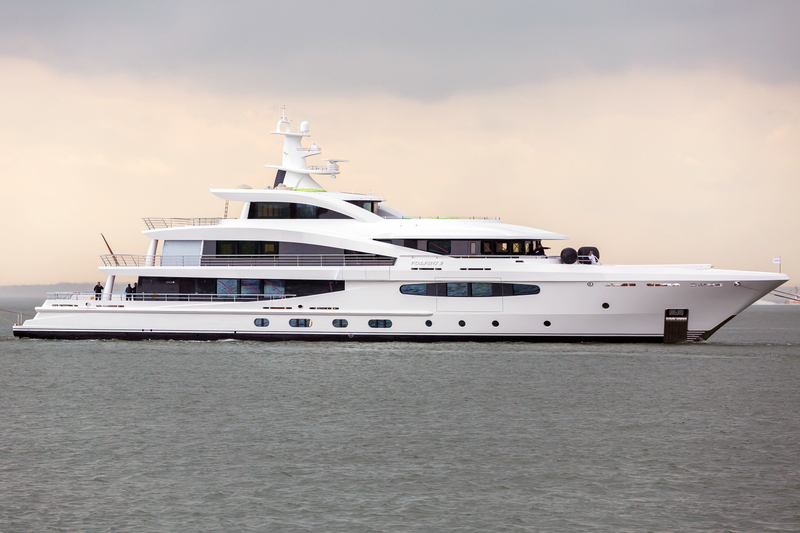 Amels delivers first hybrid and world’s first Tier III superyacht. 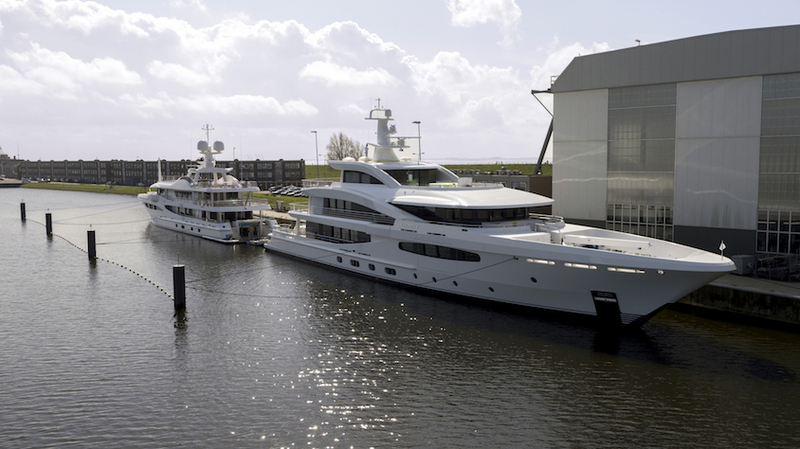 This week Dutch luxury superyacht builder Amels successfully delivered Volpini 2, right on time at the Amels yard in the Netherlands. The 57.7-metre Limited Edition yacht is the first delivery of the new Amels 188 design, the world’s first Tier III compliant new build yacht and the first with Amels Hybrid Power. Volpini 2 is now on her way to the Mediterranean. 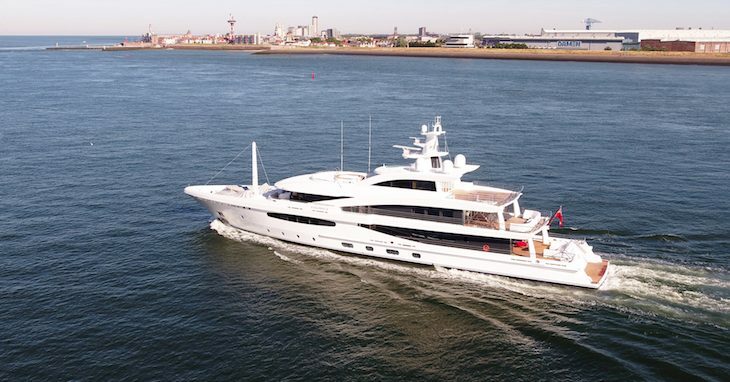 The Amels 188 was sold in 2017 to a repeat Amels client. 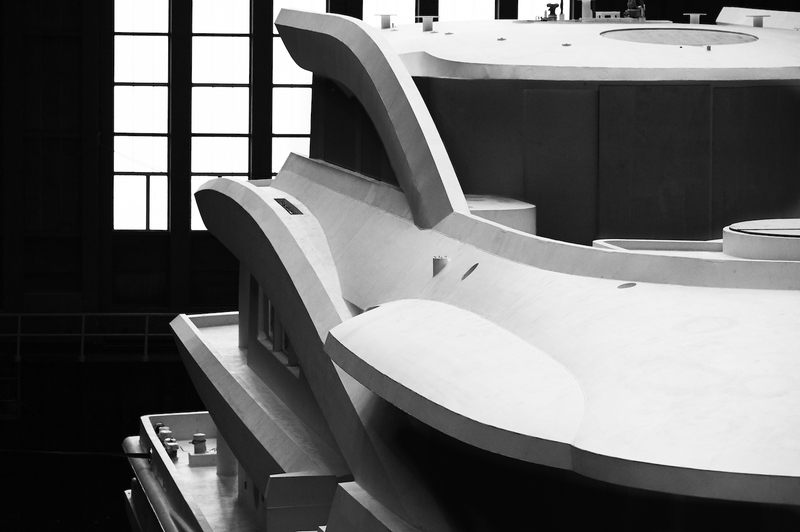 SYM Superyacht Management supervised the build through to its completion, working together with the Captain and crew. The Amels 188 has an all new exterior design by Tim Heywood and interiors by Reymond Langton. The wide 10.6-metre beam adds to the high volume interiors with high ceiling heights. Amels 188 first hybrid superyacht Volpini 2. The new Amels 188 Volpini 2. Volpini 2 features an Owners Suite with folding balcony, six suites including a VIP suite on Bridge Deck, a Sun Deck Sky Lounge accessed by central staircase and elevator, plus a Beach Club and wellness area with internal stairs to the Main Saloon. “This design is an important milestone for Amels,” comments Hans Konings, Amels Design Manager. The International Maritime Organisation’s Tier III emissions regulations require new motor yachts over 500 Gross Tonnage with a global cruising area and a keel laid after 1 January 2016 to reduce the harmful emissions in their engine exhaust gases by around 70 percent. In addition to the Tier III engineering, the Amels 188 features the Amels Hybrid Power. The system combines energy sources from engine heat recovery, a battery bank and a father-and-son generator configuration to increase efficiency and reduce harmful emissions.